„Art Spin Berlin is a community based interactive bike and art tour of creative venues, art performances and site-specific installations throughout various Berlin neighborhoods. The goal is to create an event that highlights and embraces the diversity and vibrancy of Berlin’s art scene and neighborhoods. Participants will experience eight projects at six locations. The tour is 11 km long through the neighborhoods of Pankow, Niederschönhausen, Heinersdorf and Weißensee. Supported by the District of Pankow, Department of Continued Education and Culture. 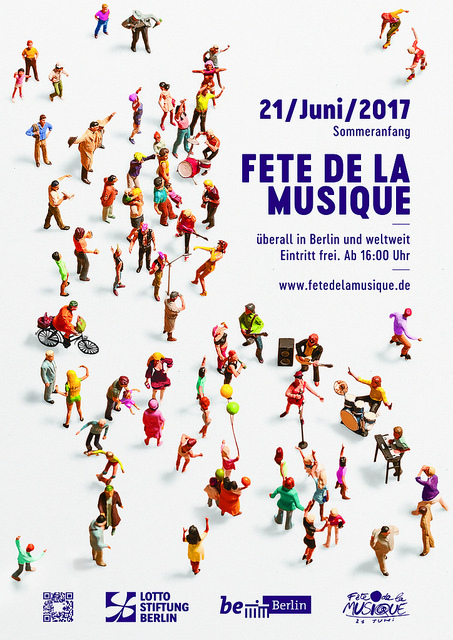 To start the summer on 21.06. we are part of the Fete de La Musique. You can expect 5 great bands and drinks. Be there on 21.06. Of course, entrance is free!